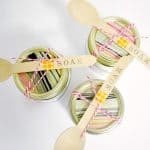 You probably have a jar already in your cabinet – and if you do, you’ll love these 15 fun ideas for crafting with sprinkles! Cleaning out the kitchen cabinets is never a very fun chore, until you find a jar of old sprinkles. And then you realize that although they made be a little old (do sprinkles have an expiration? 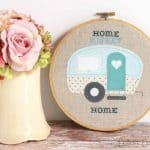 ), you have another idea for them completely – crafts! I knew right away when I found the large jar of colorful goodness that I wanted to get crafting with sprinkles, but I needed a little inspiration to guide me. I found a bunch of projects and am not sure where to start, but I think it’s going to be a fashion item. 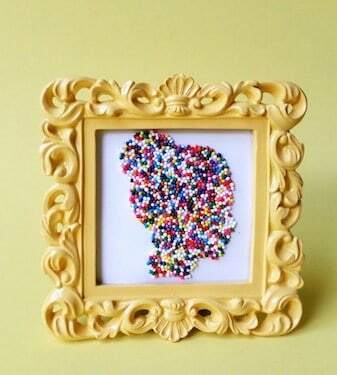 Scroll down and let me know what sprinkle craft you’d like to try! PS – if you want to learn to dye sprinkles any color you like, take a peek at this tutorial. Now onto the projects . . . 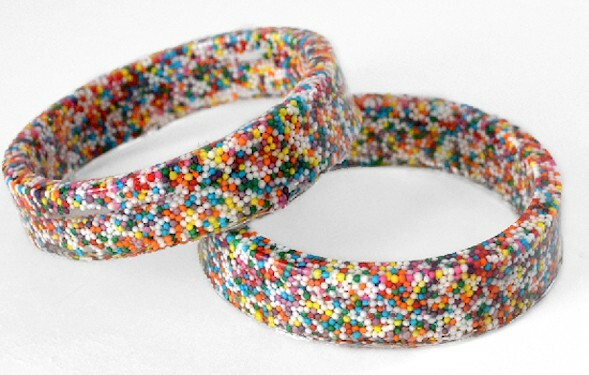 This fun tutorial shows you how to cast a bracelet in resin – and add sprinkles! 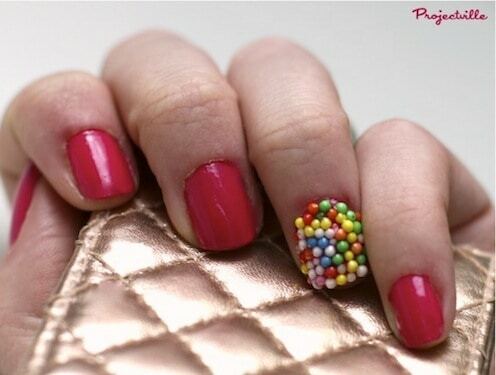 Bring sprinkles into your fashion with this quirky nail art idea. So cute! 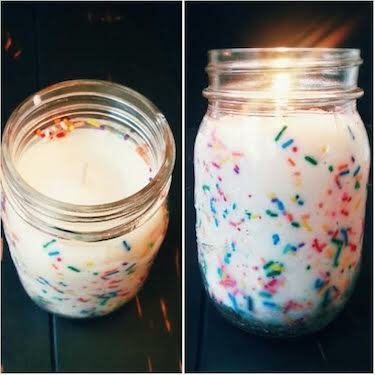 Make funfetti candles using the sprinkle colors of your choice. I’d love these in Halloween colors! Not real sprinkles, but too perfect not to share . . . all you need is adhesive vinyl! An entire sprinkle cake stand? I can hardly resist how wonderful this is. 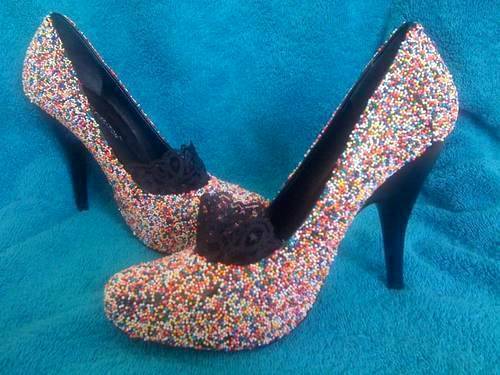 Sprinkle coated shoes are perfect for a night on the town! Aren’t these amazing? Use sprinkles and decoupage glue to create your own unique silhouettes. 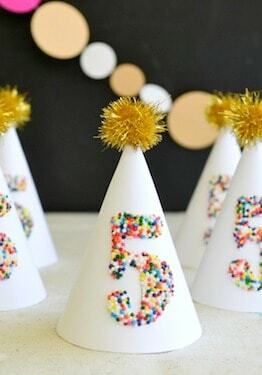 I’m loving these colorful sprinkle party hats because they use icing to make everything stick! 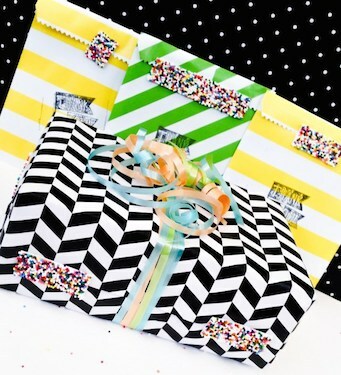 I love these unique gift toppers, and you won’t believe what the surface underneath is. 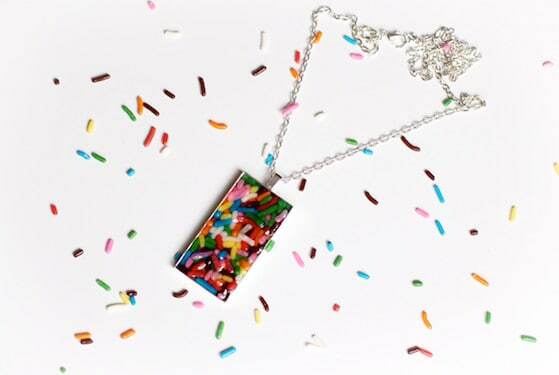 Mandy shows you how to make sprinkle pendants – and even tells you what to use depending on the type of sprinkle! 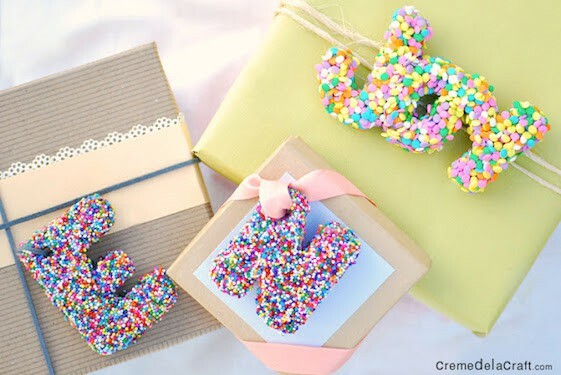 This ornament could be one of the easiest sprinkle crafts ever. What else can you fill with them? These aren’t really sprinkles, but they are too cute not to share. 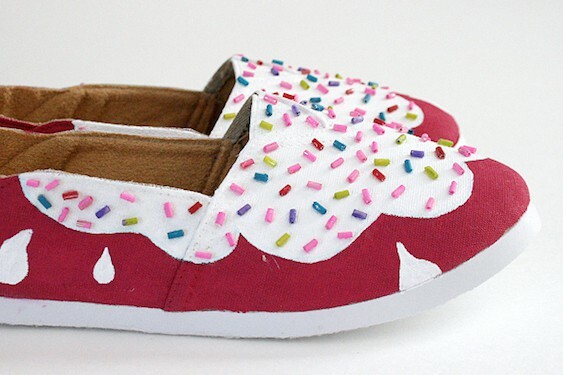 Add paints and beads to plain shoes to make a sprinkle inspired version. 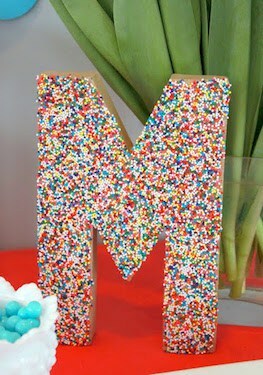 This letter would look amazing on a party table – but also on a mantel! From now on, all of my packages and gift bags will come with sprinkle tape. How could they not? 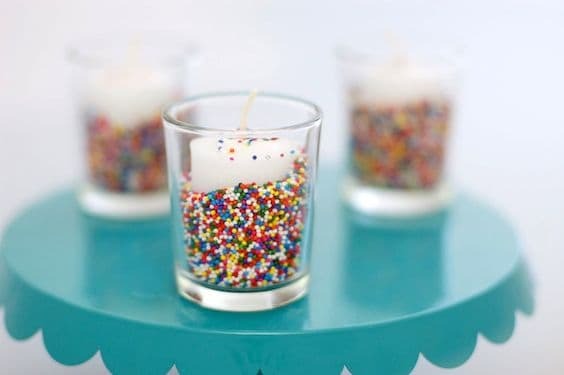 Easy sprinkle votives? Great for any home decor or a party – and just about as easy as it gets!